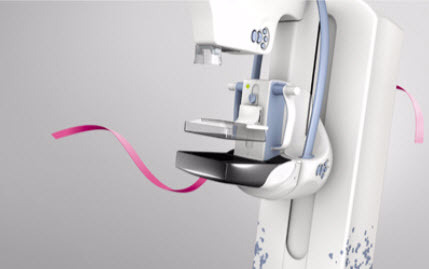 GE’s SenoClaire* breast tomosynthesis is a three-dimensional imaging technology that uses a low-dose short X-ray sweep around the compressed breast with only nine exposures. This imaging technique is designed to separate the tissues and to reduce the overlapping of structures, which represents a limiting factor in standard 2D mammography. 3D Mammogram acquires 300 image slices compared to only 4 images that are acquired with 2D Digital Mammography. We are proud to offer this technology at Future Diagnostics Group. Many studies have proven superior breast cancer detection rates when combining 3D mammography with conventional 2D mammography. Studies have demonstrated a 10%-30% increase in overall breast cancer detection (over 2D imaging alone). This increased accuracy reduces the number of call-backs (by as much as 30%), sparing women the stress, inconvenience and cost of coming back for further imaging. The ability to detect breast cancer at the earliest stages will save more lives. Who is 3D mammography available to? 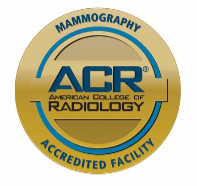 3D mammography is available to all patients. It is now the standard of care for screening and diagnostic mammograms. Patients over 40 do not need a doctor’s order for 3D screening (but we would like to know which doctor the report will be sent to). Patients under 40 will need an order for screenings. All diagnostic Mammograms will require an order. A screening is an annual healthy exam- this is to detect any abnormalities that are a-symptomatic. A diagnostic is ordered when you are presenting with pain, lump, or any abnormalities that may concern you or your doctor. 3D mammography is used in conjunction with standard 2D mammography. No additional breast compression is required and it only takes a few more seconds. The exam will be very similar to what patients have experienced with standard 2D mammography. Each patient is unique; some women experience minor discomfort and others experience no discomfort at all. Our mammography team upholds a high standard of care and compassion. Our mission is to make every woman feel as comfortable as possible during her time with us. To ensure the quickest results, please advise our schedulers of any prior mammography imaging that has been performed at a different facility-we will require these images for a complete read. Plan to arrive at least 15 minutes before your appointment to allow time to process your registration. Your technologist will greet you and take you to our ladies dressing room. You will be given a robe and asked to undress from the waist up. Our technologist will position you and take pictures of each breast. Depending on the exam that is ordered (Screening or Diagnostic). You may be asked to sit and wait in the dressing room while our radiologist looks over your films. If additional views are needed you may have the option to complete those following your scheduled appointment.